Privacy International has sent a solicitor’s letter to underseas cable operators accusing them of unlawful conduct. The CEOs of BT, Verizon, Vodafone, Level 3, Global Crossing (now owned by Level 3), Viatel and Interoute have been implicated in the GCHQ's Tempora programme, to intercept internet traffic by tabbing into 200 undersea cables. In a pre-action letter issued to the companies, Privacy International demanded that the companies provide details on their relationship with GCHQ. It has asked the network operators to outline company policies for assessing the lawfulness of government requests and describe any requests they received from authorities to intercept information. Privacy International has also asked the operators to specify the steps taken to oppose or resist such orders, and the amount they have been paid for their cooperation with governments. Privacy International is seeking an Investigatory Powers Tribunal (IPT) challenge to investigate the legality of GCHQ's Tempora programme to tap undersea fibre optic cables. 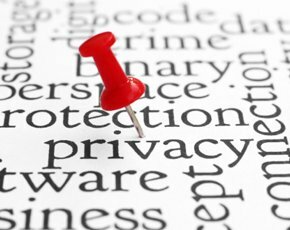 “It appears that [your company] has fundamentally failed its customers by cooperating with and facilitating a mass data collection and interception programme without, as far as we are aware, taking reasonable steps to challenge requests for data,” Privacy International's solicitor noted in the letter sent to the operators. "Such indiscriminate blanket revelation and collection of all customer data is entirely incompatible with customer privacy and is unlawful."